The main ingredient of this beef boti recipe is raw papaya. Don skip it. It helps to make meet tender and soft. Otherwise it takes long time to cook beef. 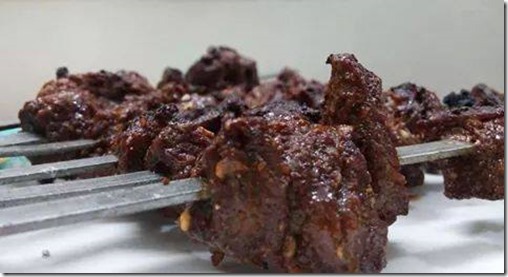 Try this beef boti recipe this eid and make your function more memorable. Mix all ingredients with beef pieces and marinate them for 6-7 hours or overnight. Now put on skewers and barbeque them. You can also bake them in oven or cook them in cooker and in the end give coal aroma with burning coal. Serve hot with parathas and dip.